Size: 6 3/8 x 8 1/2"
Printed with last copy being durable manila tag stock. Custom Work Order Tickets printed at DesignsnPrint on 2 or 3 parts carbonless. A work order allows you to work more efficient. 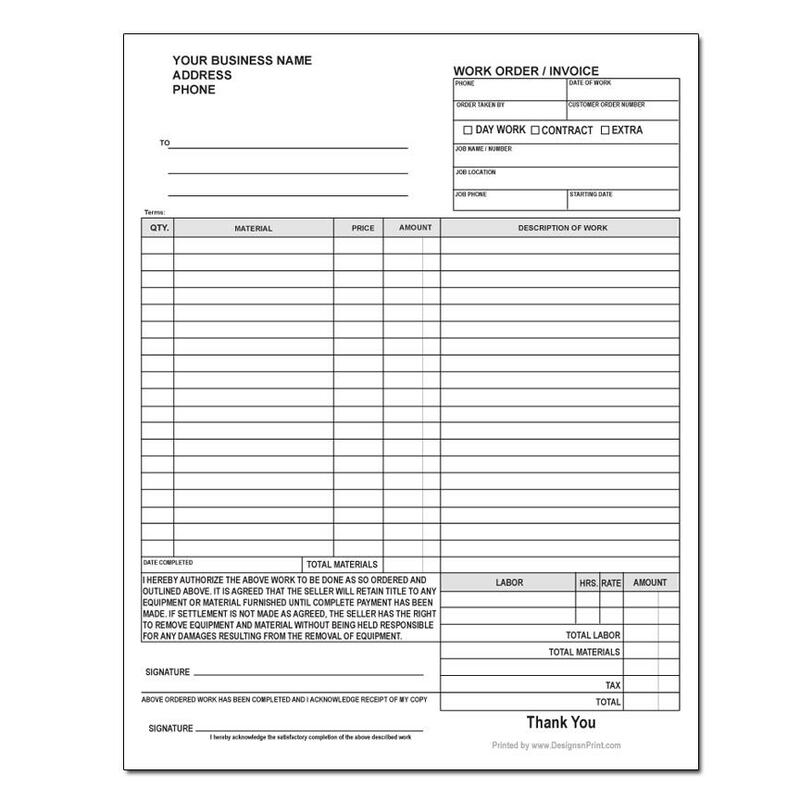 After you write up the details of the work to be done, then you can send a copy as an invoice to the customer. You then keep a copy of duplicate for your own records. 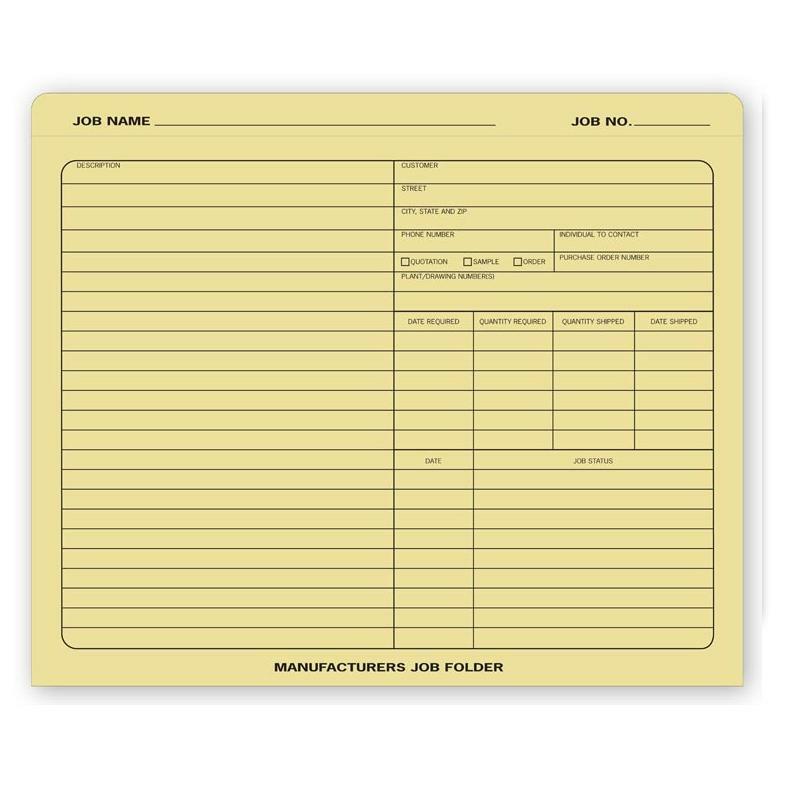 This form is small but have all the sections to complete the job. 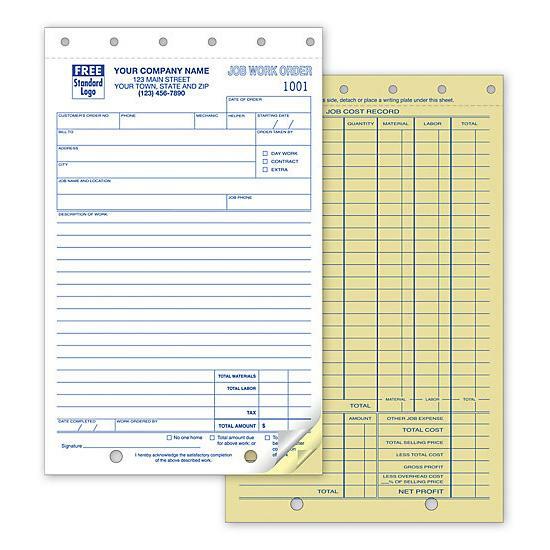 Write up maters used, labor costs, description of work etc. 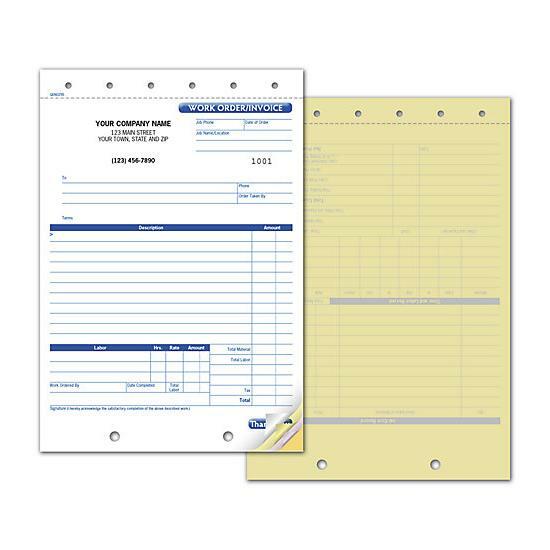 It's a snap set format with perforation and numbering. Call now if you have any questions 1-800-492-1218.